Sounds like you need to be with a private doctor. Mine is willing to go well beyond the NHS rules and prescribe what he/she believes is appropriate for me. And not necessarily what is deemed "allowed" by the NHS. There is a huge difference between the two. It costs a bit, but (and don't take this the wrong way) I think it is well within your financial means. Separately, have you tried Vicks Mentholatum and its derivative products? I find it a good decongestant. It's available off-the-self in Tesco, Sainsbury, etc. It describes a method for synthesising your own pseudoephedrine, normally difficult to obtain, using nothing more than crystal meth, readily available without ID checks or paperwork from your local drug dealer. Because you're not buying it from her - so she's not liable in any way. You are trying to think about how her doing this helps you - it doesn't; it helps her. It's the same with us for Ibuprofen/paracetamol, because the boxes are so tiny, and you can only buy 2 at a time (in case you want to kill yourself I assume), as tend to keep around 10 boxes in stock, so I actually now have more than enough for a suicide attempt, should I feel the urge, and I don't even need to go and buy any to do it! I agree with keithb, my other half has a few chronic illnesses which flare up from time to time - so sometimes taking the full ibuprofen dosage for a week or two. Due to the purchasing limits(*), I got into the habit of always buying it (even if we didn't need it) so we had supplied when the time came (and to cover the time when she needed ibuprofen cream, painkillers and I needed flu remidies: hitting the limit). * - We've since found out that you can get a big box of max strength ibuprofen over the counter (at least 52 tablets) just by asking: making a mockery of the "max 2 boxes of 12" rule. The max 2 boxes rule is for the normal checkout staff on the tills, they have no medical training. To get the jumbo boxes of Ibuprofen you have to ask the pharmacist, who is at least supposed to check you've had them before and know what the dose is and what you are using them for. Your pharmacist knows you can fairly easily go and buy more from elsewhere, from her point of view her conscience is clear. 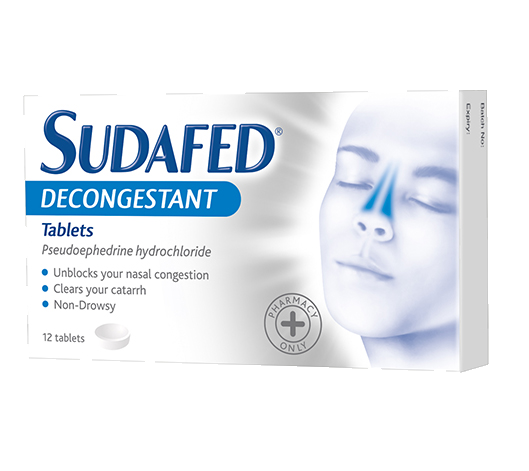 Pseudoephedrine is a potential drug of abuse for reasons other than illicit drug production, it can be used to aid weight loss and improve athletic performance although it's nowhere near as effective as ephedrine which is no longer easy to get hold of. It is a pharmacist's responsibility to do that sort of thing - pay attention to what you're buying / picking up, make sure it's safe, and pick up on possible interactions or problems. They are the experts on drugs, more so than doctors, and it's not unusual for a pharmacist to ring up your GP or send you back to them if they've spotted a problem the GP has overlooked. You could try getting the pharmacist to ring your GP and talk it through, or get your GP to prescribe the pills. I know it's frustrating being a sensible rational person bumping up against processes designed to deal with impulsive careless behaviour :). The rules about the sale of paracetamol etc. are a great example - the number of deaths due to overdoses has fallen dramatically since they were introduced - they may appear clumsy on the surface, but they have a subtle and substantial effect.